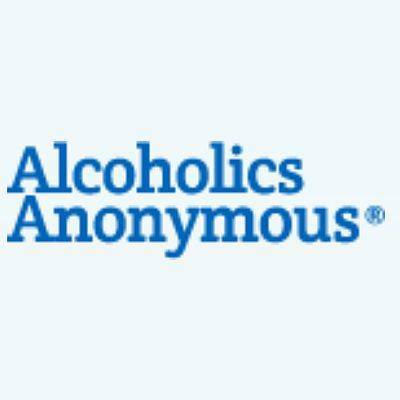 Alcoholics Anonymous Lima Downtown Group, 12:30 p.m., Grace Fellowship Church, 1606 W. Elm St., Lima. LIMA — Alcoholics Anonymous will hold an open discussion meeting at 12:30 p.m. Sunday, Monday, Tuesday, Wednesday, Thursday and Friday at Grace Fellowship Church, 1606 W. Elm St., Lima. This entry was tagged 010118, 010218, 010318, 010418, 010518, 010718, 010818, 010918, 011018, 011118, 011218, 011418, 011518, 011618, 011718, 011818, 011918, 012118, 012218, 012318, 012418, 012518, 012618, 012818, 012918, 013018, 013118, 020118, 020218, 020418, 020518, 020618, 020718, 020818, 020918, 021118, 021218, 021318, 021418, 021518, 021618, 021918, 022018, 022118, 0221818, 022218, 022318, 022518, 022618, 022718, 030118, 030218, 030418, 030518, 030618, 030718, 030818, 030918, 031118, 031218, 031318, 031418, 031518, 031618, 031818, 031918, 032018, 032118, 032218, 032318, 032518, 032618, 032718, 032818, 032918, 033018, 040118, 040218, 040318, 040418, 040518, 040618, 040818, 040918, 041018, 041118, 041218, 041318, 041518, 041618, 041718, 041818, 041918, 042018, 042218, 042318, 042418, 042518, 042618, 042718, 042918, 043018, 050118, 050218, 050318, 050418, 050618, 050718, 050818, 050918, 051018, 051118, 051318, 051418, 051518, 051618, 051718, 051818, 052018, 052118, 052218, 052318, 052418, 052518, 052718, 052818, 052918, 053018, 053118, 060118, 060318, 060418, 060518, 060618, 060718, 060818, 061018, 061118, 061218, 061318, 061418, 061518, 061718, 061818, 061918, 062018, 062118, 062218, 062418, 062518, 062618, 062718, 062818, 062918, 070118, 070218, 070318, 070418, 070518, 070618, 070818, 070918, 071018, 071118, 071218, 071318, 071518, 071618, 071718, 071818, 071918, 072018, 072218, 072318, 072418, 072518, 072618, 072718, 072918, 073018, 073118, 080118, 080218, 080318, 080518, 080618, 080718, 080818, 080918, 081018, 081218, 081318, 081418, 081518, 081618, 081718, 081918, 082018, 082118, 082218, 082318, 082418, 082618, 082718, 082818, 082918, 083018, 083118, 090218, 090318, 090418, 090518, 090618, 090718, 090918, 091018, 091118, 091218, 091318, 091418, 091618, 091718, 091818, 091918, 092018, 092118, 092318, 092418, 092518, 092618, 092718, 092818, 093018, 100118, 100218, 100318, 100418, 100518, 100718, 100818, 100918, 101018, 101118, 101218, 101418, 101518, 101618, 101718, 101818, 101918, 102118, 102218, 102318, 102418, 102518, 102618, 102818, 102918, 103018, 103118, 110118, 110218, 110418, 110518, 110618, 110718, 110818, 110918, 111118, 111218, 111318, 111418, 111518, 111618, 111818, 111918, 112018, 112118, 112218, 112318, 112518, 112618, 112718, 112818, 112918, 113018, 120218, 120318, 120418, 120518, 120618, 120718, 120918, 121018, 121118, 121218, 121318, 121418, 121618, 121717, 121718, 121818, 121917, 121918, 122017, 122018, 122117, 122118, 122217, 122318, 122417, 122418, 122517, 122518, 122617, 122618, 122717, 122718, 122817, 122917, 123018 121817, 123117, 123118, 201818. Bookmark the permalink.